Please be aware that you must have boxing hand wraps to attend this class. Otherwise you will be required to purchase them from us at 8.00 GBP when you attend class. You will not be allowed to participate unless you use hand wraps which help to prevent injury and keeps our gloves clean. 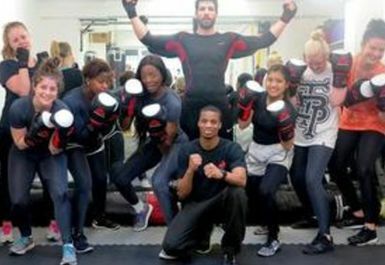 Moreno Boxing is known for it’s emphasis on nurturing both fitness and boxing technique from the very basic beginner level through to the experienced boxer, with a focus on teaching correct boxing techniques and improve fitness to help beginners build solid foundations and also help experienced boxers go a step further. Our first aim is to raise your level of fitness so that you can participate in classes for longer without getting winded. We also aim to explain and demonstrate technique in a correct manner in order to teach you the true foundations of boxing technique. 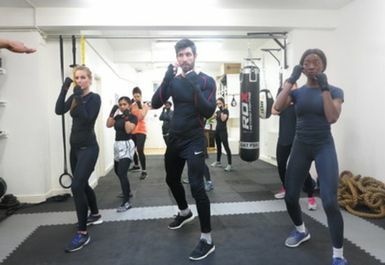 Moreno Boxing is located on Bailey Place just a short walk from Dalston Kingsland Station, Dalston Junction Station and numerous bus routes. ***Please be aware that you must have boxing hand wraps to attend this class. If you don’t you will be required to purchase them from us at £8.00 when you attend class. You will not be allowed to participate unless you use hand wraps which help to prevent injury and keeps our gloves clean.